AT LONG LAST LOVE is a legendary egg-upon-face fiasco, smashed flat by critics, barely returning 25% of its $6,000,000 cost as irate 1975 patrons ricocheted out of the theaters to warn their friends. Stewed up as a valentine to the madcap musical-comedies of the 30s by whiz kid Peter Bogdanovich, doing triple-threat duty as writer, producer and director; it fails miserably, utterly, endlessly (118 minutes) in every department. 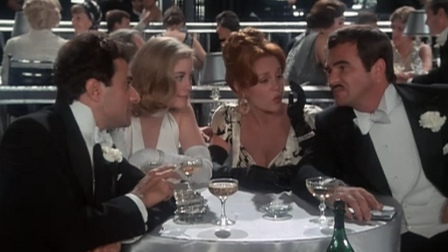 A daffy millionaire (Burt Reynolds) meets a Broadway bombshell (Madeline Kahn), while a slick Italian card-shark (Duilio Del Prete) woos a spoiled heiress (Cybill Shepherd). Eventually, the two couples switch partners and love wins out, except for the viewers, busy gathering to lay waste to Beverly Hills. Not less than sixteen Cole Porter songs are squawked, warbled and otherwise crucified by the cast, who handle singing about as well as Slim Pickens would manage Becket. They dance, too–a shade less fluidly than the Bulgarian Ladies Shotput Team with jet-lag. The jokes aren’t, the direction isn’t, the sets and costuming a garish waste. On the demerits of its furious egomania alone, this two-ton Limburger easily rates as one of the Best of The Worst. Bogdanovich famously issued a letter of apology for the quality of the film, published in newspapers around the country. 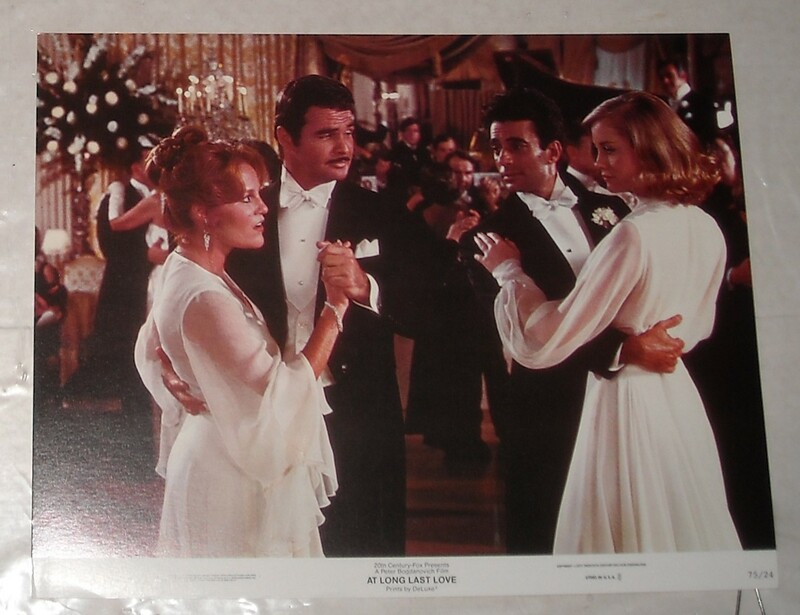 With Eileen Brennan, John Hillerman, Mildred Natwick, M. Emmet Walsh.